It’s no surprise, BMi Research’s first bursary graduate is a star! Six years ago, BMi Research’s commitment to upskill its employees, and provide them with access to additional studies, was brought to life with the launch of a new staff bursary programme. 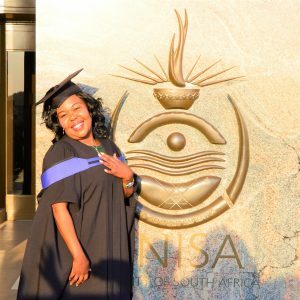 This year it came full circle, with the first employee to benefit from that initiative, Surprise Rapitsi, successfully completing her BCom in Business Management. Surprise hails from Marble Hall in Limpopo. Self-motivated, ambitious and smart, she achieves everything she puts her mind to. She matriculated in 2000, before enrolling at Ekurhuleni West College where she completed her N6 in Financial Management and later at Damelin, where she studied payroll admin. In 2003 she entered the corporate world as data capturer at BMi Research, a position she quickly grew into. Eight years later, Surprise was promoted to the position of processing data analyst. Surprise wanted to study further. But she knew tuition fees would be prohibitive. The new bursary initiative from her now longtime employer, BMi Research, came at just the right time. “I chose to study a B.Com in Business Management because I wanted to utilise these skills in my new position within BMi Research’s research department. When I first approached Gareth Pearson (CEO of BMi Research) for a bursary, I didn’t think I would actually get my degree, because six years felt like such a long time! But I did, and I loved it, with consumer behaviour being my favourite subject. Now I can’t wait to study further, and plan on doing my honours and masters’ degrees in the coming years. I think I will study for as long as I live!” laughs Surprise. Although this dedicated employee was an equally committed student, balancing her work and studies wasn’t always easy. “Studying and working at the same is very challenging because you have to juggle between work and preparing for exams and tests. I sometimes needed to work after hours so I could catch up with my work. But everybody was very supportive of my studies, which was a huge help,” she adds. 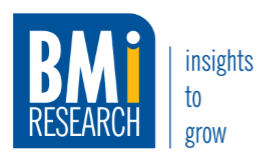 It is anticipated that BMi Research’s bursary programme will not only help employees further their education, but enhance the diverse skillset within the company too, enabling this specialist research house to grow from strength to strength.